(Bloomberg) -- Another auto show, another major absence. As in Detroit, BMW Group is skipping the New York International Auto Show as well. “This isn’t to say that we’re moving away from auto shows altogether,” says BMW spokesman Phil DiIanni, but the decision to pass on Manhattan was to focus on alternative, more active platforms such as driving events, track days, and experience centers, rather than the static confines of a convention center. Bimmer fans will have to wait until the Los Angeles Auto Show in November to see new models on a stand in the U.S. It was the latest, and most significant, bow out by a major automaker unable to justify the million-dollar output required to attend the annual trade show. And where high-end, low-volume automakers such as Ferrari and Lamborghini have skipped domestic trade shows for years—blessing fans with debuts only at glamorous global events such as the Pebble Beach Concours d’Elegance and the Geneva Auto Show—BMW’s continued absence is a new twist in the roll call of automakers calling it quits. Compared to the electric and multimillion-dollar baubles that littered the Geneva show floor, New York is going to feel like a grounding experience—even more so when the nation’s second-best-selling luxury automaker says uncle. That’s not to say there won’t be any supercars in New York next week. 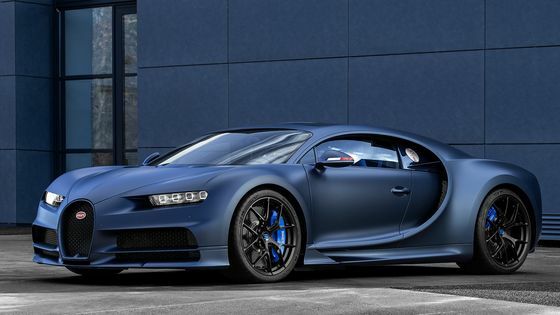 Bugatti’s “110 ans Bugatti” Bugatti Chiron Sport will appear in celebration of the brand’s founding in 1909. Pininfarina’s electric Battista and Koenigsegg’s 1,600-horsepower Jesko will each be there. Though the hype-sheen of the three glitzy unveilings will have dimmed, American car enthusiasts will get their first chance to see the intergalactic vehicles up close. 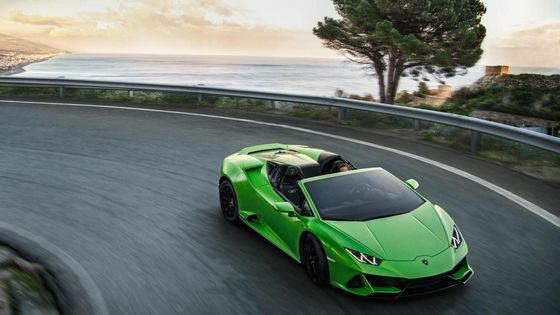 Lamborghini will bring over the $247,400 Huracan Spyder Evo and $573,966 Aventador SVJ Roadster, fresh off the boat from Geneva; Ferrari will do the same with its F8 Tributo. McLaren, rumored to be refining its new GT, will pass. BMW’s absence, as it were, spells an almost engorged opportunity for arch-rival Mercedes-Benz to shine. 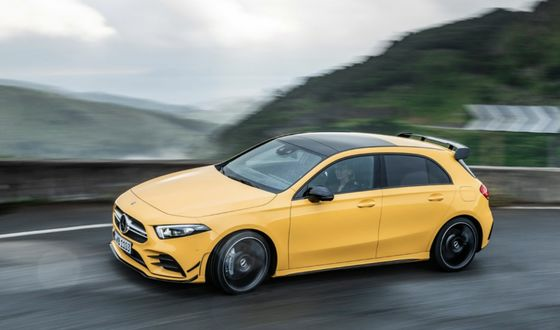 The Stuttgart, Germany-based automaker leads the pack in New York with plenty of selections of what will most certainly dominate the offerings, regardless of brand: SUVs. This is nothing new. Americans have continually bought more crossovers and SUVs for years; by 2025, the variety of SUVs offered for sale will exceed that of coupes and sedans. 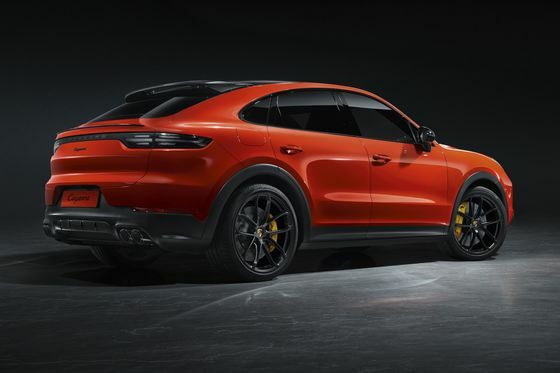 It makes sense that Porsche would add even more variants to its SUV model lineup, Brinley said, however subtle the differences among them. 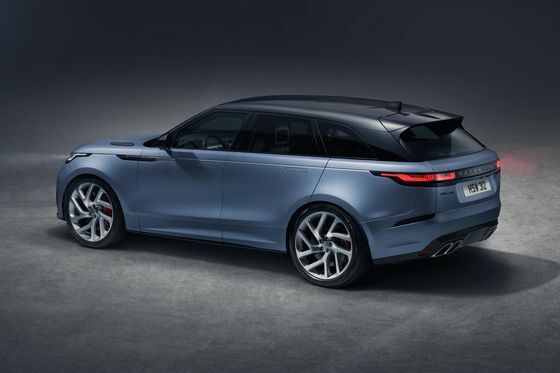 Meanwhile, Land Rover will show the aggressively tuned, fast, and powerful Range Rover Velar SVA Autobiography. And Audi—celebrating its 50th anniversary—will unveil the mild-mannered Q3. As for the more-affordable cars on display in New York, Toyota will be first out of the gate next week, pulling the cover off its new Highlander early on Wednesday morning. The machine is the third-largest of Toyota’s six SUVs; as such, it’s critical to the brand’s bid to keep customers over the long haul. The plan is roughly to grab Gen Zers with the little C-HR, upsell them to the Highlander when the kids come, and then hustle them into the Land Cruiser for sports and ski gear before closing the journey with a Supra—a solid choice for a late-life crisis. 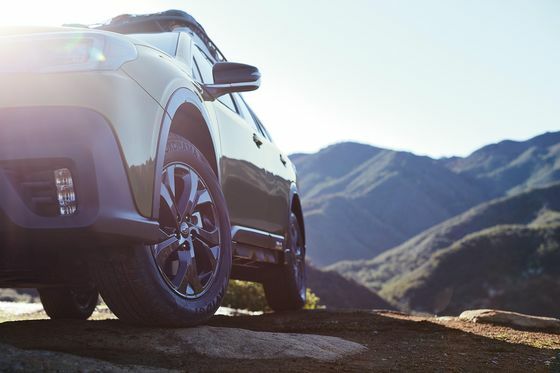 Subaru will roll out a thoroughly overhauled version of its money-maker, the Outback, which hasn’t had a major upgrade since 2011. Though the odd little rig is entering its 27th year, U.S. drivers are still snapping up 20 every hour, so don’t expect big changes. If the Japanese company shakes off its conservative stance, we may see a hybrid version similar to the one it bolted into the Crosstrek this year. As in the luxury space, virtually any size and shape of SUV pays for itself these days. Hyundai, realizing as much, will debut an all-new, tiny truckster dubbed the Venue. Smaller and cheaper than the $19,200 Kona, the Venue will likely be “utility” in name only. Once Hyundai’s massive Palisade hits dealerships, the brand will finally have five crossover-type machines, in line with Kia, its corporate cousin. Ford Motor, once the titan of its segment, is struggling to find its way as a “transportation” company, like a famous band searching for a new sound. In the meantime, though, it’s playing the hits—namely Mustang. Its designers are penciling in a “Mustang-inspired” SUV, and in New York, the company will present a new iteration of the pony car that is performance oriented but “entry-level.” To be sure, that is slicing the onion fairly thin; Mustang faithful should expect something that falls between the starter fastback ($26,400) and the Shelby GT350R ($67,100) in both price and speed specs. Amid the scattershot offerings, it might be worth going just to see the familiar face. The New York Auto Show will be open to the public April 19-28.